Founded in 2006, is a focus on lithium battery research and development. TPE has been dedicating in providing the society with security, environmental friendly, steady, portable and durable high density li-polymer batteries and the overall solution of power supply. 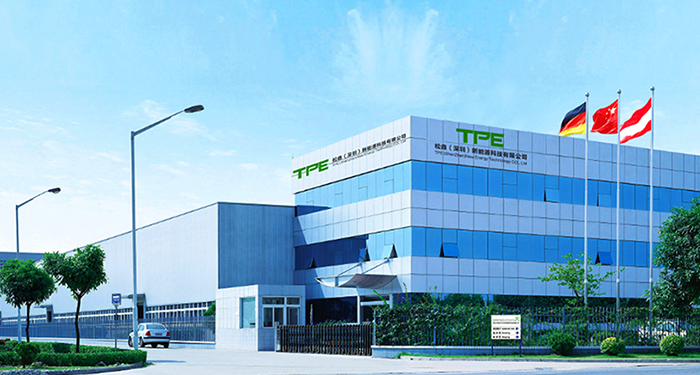 TPE New Energy business include five categories: energy storage battery products, digital innovation products, standard cylindrical lithium battery series, electric car peripherals, and polymer lithium batteries. TPE products are widely use for : bluetooth headset, bluetooth stereo, wireless microphone, smart wear products, including bracelets, watches, rings, smart wear clothing shoe heating products, financial ultra-thin card built-in battery, the U shield, POS machine, 3 c digital, video card, high ratio in rc toys, electric toys, lighting lamps and lanterns, game consoles, PDA, GPS, Shared bike lock lithium-ion battery pack, smart respirators, iot vehicle start backup battery, 3 c digital battery and power energy storage module, unmanned aerial vehicle (uav), sweep robot, service robot and small intelligent robot, vacuum cleaners, small medical products, medical equipmentPower batteries, such as mining lamps, electric tools, model airplanes, wind-energy complementary energy storage, mobile power supply, electric bicycle, automobile, logistics vehicle, golf cart, etc. TPE product is of high safety, light weight, small volume and large capacity. It can be customized according to customer's requirement.The company attaches great importance to technological innovation, and persists in building the core competitive advantage of the enterprise with the leading technology.